Besides the beauty of the waterfalls during the rainy season the water murky, shifting the vast dry monsoon, to the Highlands, tourists can explore the cuisine of the mountainous region. However, the last diners to enjoy each dish must nodding praise and acknowledge its taste very special. Pot leaf dark forest is not necessarily sweet nor aromatic style that gentle, poignant. 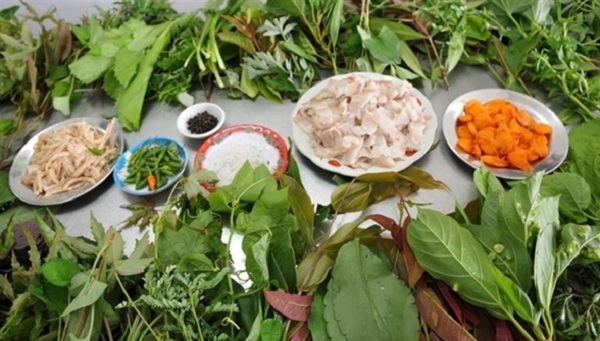 It looks like the taste of the jungle had seeped into every leaf, bring special dishes. 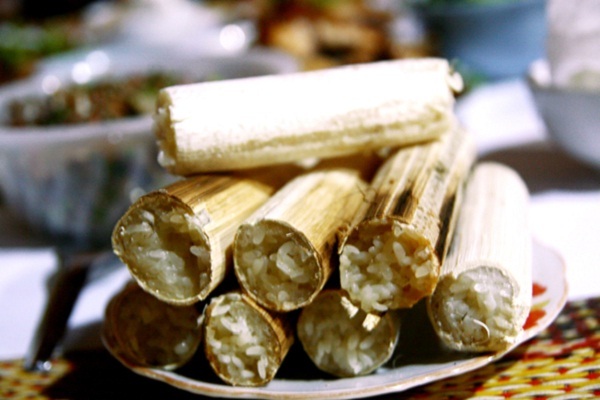 Rice, food is considered by distilled mountain forest in which the sweetness of cool streams and the scent of early preterm untouched green bamboo. Hemibagrus, a specialty that nature has bestowed favor tribes, are freshwater fish, catfish ministry, there Serepok River. Fish is sweet, fatty, delicious should have been present in the menus of cafes, restaurants, hotels, and are favored by many customers. Fish used to make fried lentils, fish braised lentils bananas, lentils steamed fish, fried fish with garlic lentils and fish porridge steering, always fragrant dish is also delicious. 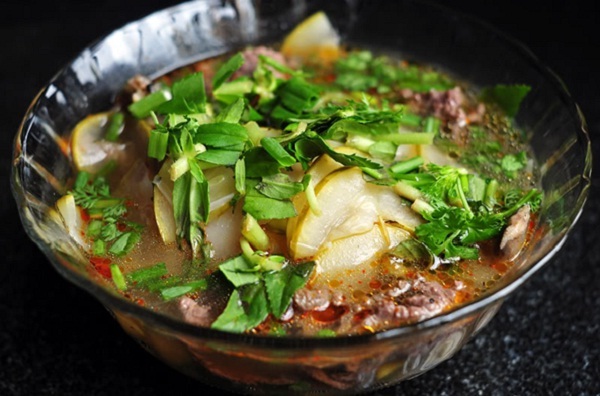 Hemibagrus hotpot sour soup is a delicious cooling, nutritious, many people choose in the summer. From the name, chicken fire made visitors feel happiness. Selected chickens farmed chickens from ethnic minorities or the wild chicken meat so chewy, sweet and aromatic. 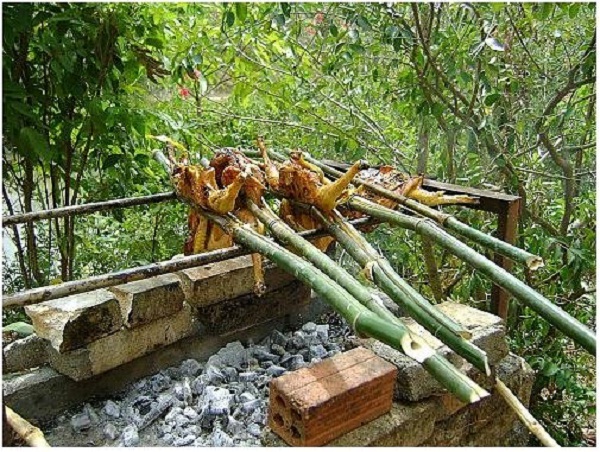 After cleaning, the chicken is marinated in a mixture including salt, spices, green pepper, add a little lemon grass in about an hour and then clamp on bamboo sticks with lime leaves, give up the grill until golden and shining outside. Chickens are fed directly tear leaves dotted with salt é – leaves a characteristic acrid forest. 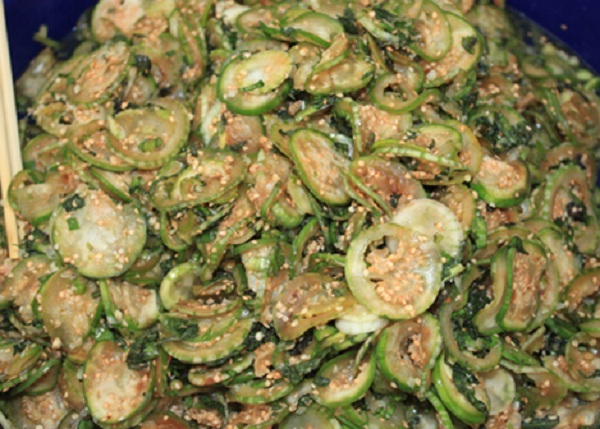 Bitter Coffee Recipes are varied, may salt, baking or cooking with seafood, meat … If bitter salt is simple dish with shredded spicy chili tongue when grilled pound has particularly delicious. At first, bitter taste of coffee can make you uncomfortable grimace, but in return, aroma, and very fleshy hook has a very strong taste.